It’s true, this recipe is unintentionally gluten free (but only for the sheer fact it contains no flour). 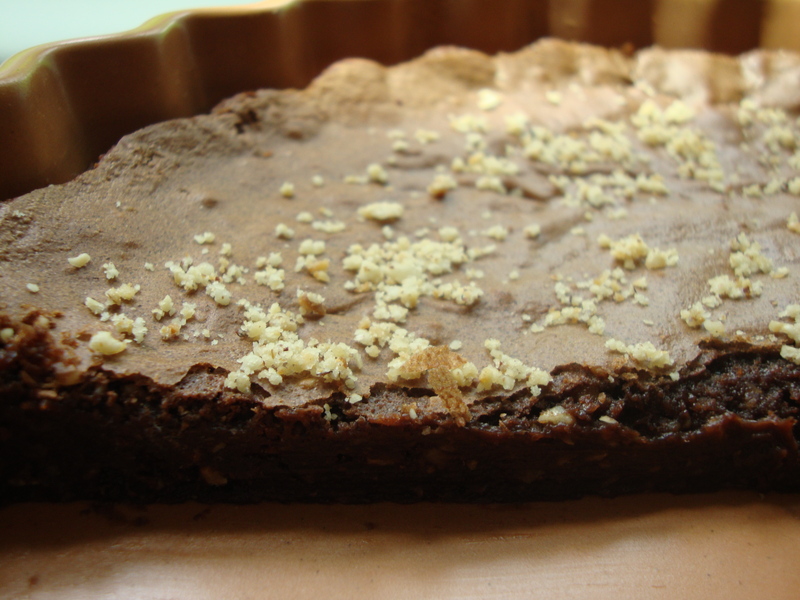 Celiac’s disease and kosher friendly for Passover, this flourless hazelnut chocolate torte takes the cake (ha). My family demanded that I stick to making only sweets with “gluten” after a disaster involving red velvet cupcakes made with chickpeas instead of flour. The whole hazelnuts shimmy and shrug out of their brown coats with a few slips of the finger after toasting. Before toasting the nuts taste like wick- after, they impart a woodsy, earthy and nutty fragrance that instantly demands a chocolate pairing. Processing the nakedly plump hazelnuts in a processor to coarse grains of nutty sand creates a satisfying crunch to the torte and also adds structural variety to the intensely dense, homogenous mass of deep chocolate batter. It’s a grown-up and sophisticated Nutella for adults, only sexier. No need to get caught dipping your finger in the Nutella jar for a quick swipe of sugary, nutty guilt. Instead, double up a small slice of torte with a glass of strong red wine of your choice (perhaps a Malbec) and a hot date to balance the pungent cacao richness. Gluten free, but maybe not guilt free. Preheat oven to 350 degrees F. If using a convection oven, preheat to 325 degrees F. Grease a 9-inch tart dish or cake pan. ( I used a ceramic tart dish, looking very much like the material potted plants come in. Perhaps it was terracotta). Toast hazelnuts on a cookie sheet for 5 minutes. Set aside to cool. 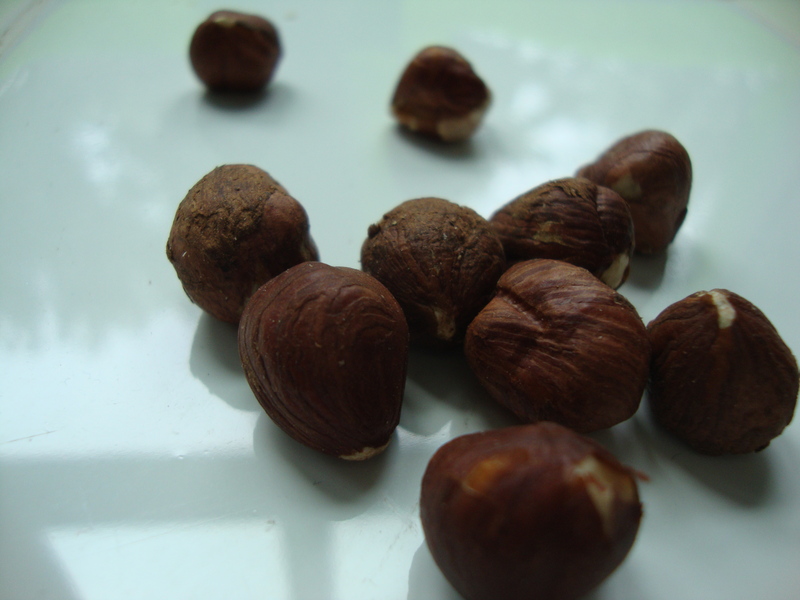 When cooled, slip the hazelnuts out of their skins using your fingers. * 2-3 minutes in a convection oven. Place nuts in food processor and grind until they take on a fine flour-like texture ( or as close as possible- I left mine a little more coarse so that there was an added crunch to the torte). Microwave chocolate and butter for 1 minute or until melted. To prevent scorching, I recommend melting the chocolate and butter on a double boiler, whisking often. Stir in cocoa powder. Beat sugars, eggs and vanilla in a bowl. Add chocolate mixture and hazelnut powder reserving about 2 tablespoons and combine. Pour batter into pan or tart dish and bake for 25 minutes until cake is just set (aka it does not wobble when shaken. Note: a toothpick will not come out clean). Cool to room temperature and then transfer to refrigerator to finish setting. Bring to room temperature and sprinkle with reserved hazelnut powder before serving.